This Micro Switch with Roller Lever is a small snap action switch with a round wheel at the end of a lever. The lever is used to press a tiny momentary push button. These switches can be used to create bump sensors for your robot or as limit switches for other projects. 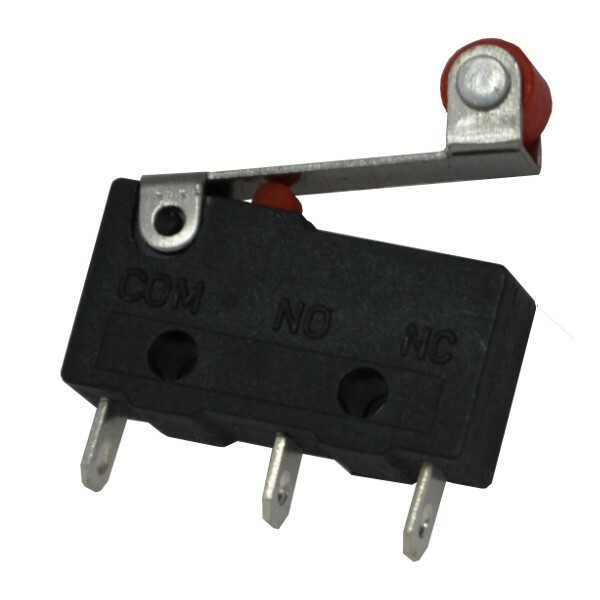 They are SPDT Single Pole Double Throw switches and can be used as NO Normally Opened or NC Normally Closed, depending on the terminals used.